This blog post is sponsored by AllerEase, thank you for supporting the brands and companies that I work with. All thoughts are honest and 100% my own. 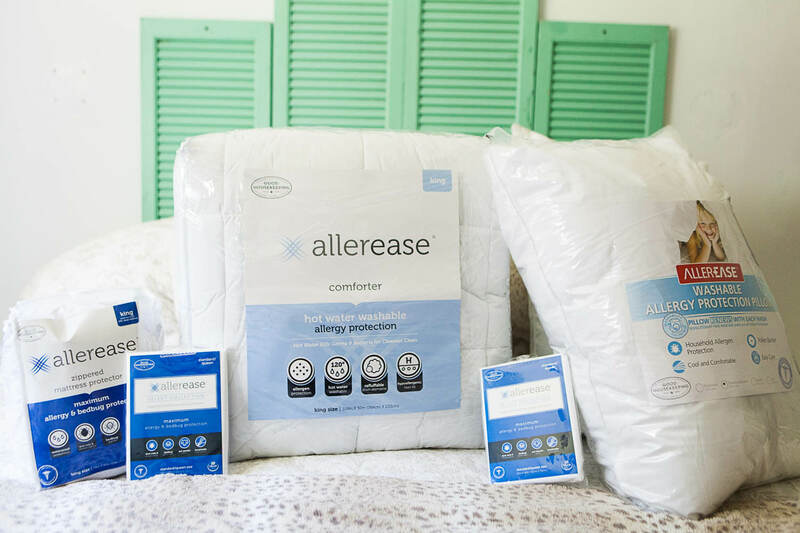 AllerEase is offering a $5 discount on Maximum Mattress Protectors at Michigan retailers such as; Kohl’s, Meijer, Target and Walmart. To take advantage of the offer, visit here or check your mail during August and the Sunday paper August 5 and August 19 for special savings. 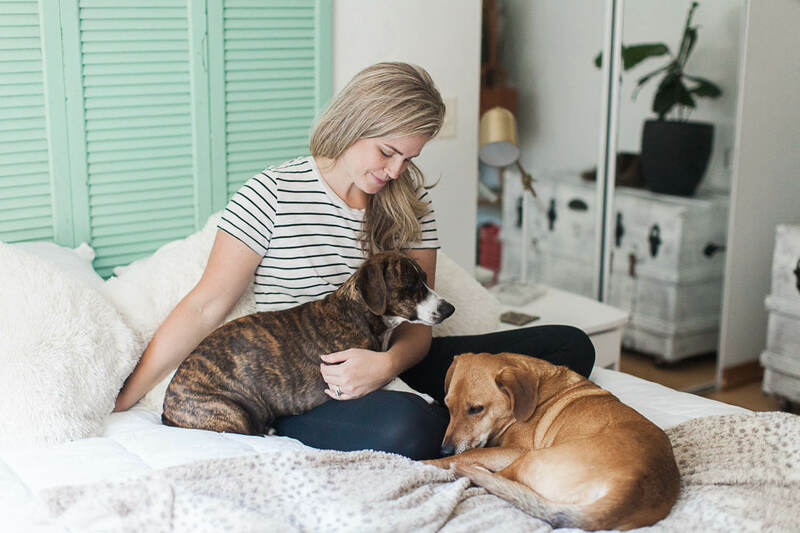 Recently, one of those many things we wish we would have known when we bought our first bed was that there is such a thing as allergy protection bedding. 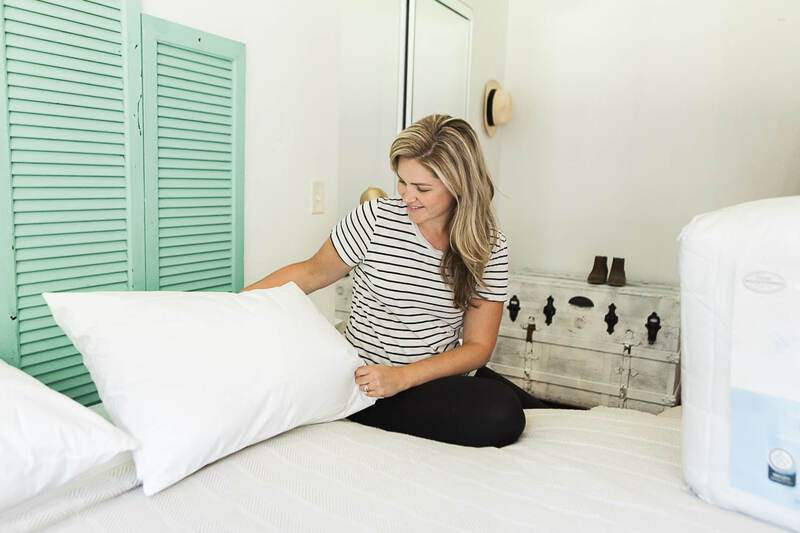 We’ve cycled through our share of about 2 or 3 mattresses in the last 7 years, most recently we purchased a king size bed, however, we didn’t quite understand just how much these mattresses would absorb dust, pollen, and pet dander. Looking back now it seems obvious that we should have realized that those are things that could and would “seep” into a mattress and bedding over time. Both Dusty and I have seasonal allergies – pollen, dust, etc… We both breathe easier in houses with hardwood flooring and limited carpet. We vacuum regularly and move furniture around in an attempt to clean up all of the dust bunnies we can possibly find. One place in particular that always seems to run rampant with dust bunnies…is under our bed. Anyone else? Your bed is likely one of the biggest pieces of furniture in your home. Therefore, it’s likely that you don’t move it often to get all of the dust, pollen, and pet dander that accumulates under it. We have two family pets – Gus and Reo. Gus tends to be the major shedder between the two…and running into clumps of his hair is not an unusual find in our house. Our dogs also sleep on our bed and in our bed. 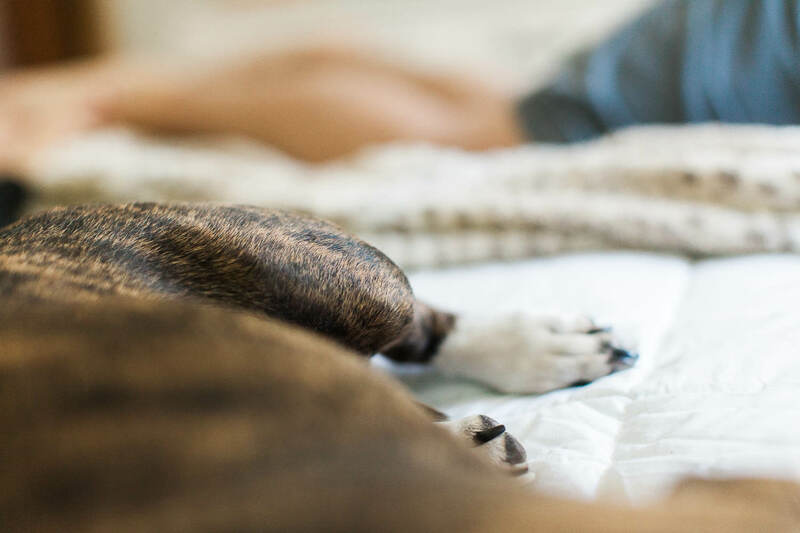 We change the sheets and bedding weekly…but that doesn’t mean washing and changing sheets on regular basis keeps all of the pet dander out of the mattress or pillows. We’ve noticed over the years that we sleep a little less sound when we haven’t taken care of those dust bunnies hiding under the bed or around the house. We find that we both have a constant runny nose, sneeze, and are stuffy, especially when we wake up in the morning. In fact, 42% of Americans have stated that they’ve woken up with allergy-like symptoms. Michiganders (like us) battle bountiful vegetation and forests with an abundance of cottonwood and ragweed, making it almost impossible to avoid allergens – open up that bedroom window and they’re bound to blow into your home and onto your bed. The thought that this sleeplessness and discomfort could be caused by allergens in our bed didn’t even cross our minds. And nowadays, getting ample sleep is key in order to keep up with a crazy busy toddler! And this is where AllerEase allergy protection bedding comes into play. 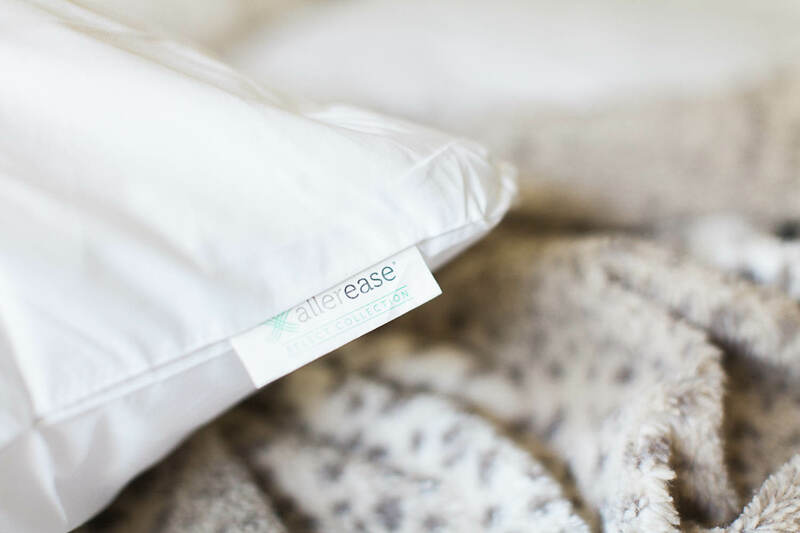 We recently had the opportunity to try a mattress cover, pillows, pillow covers, and comforter from AllerEase – and we love them! 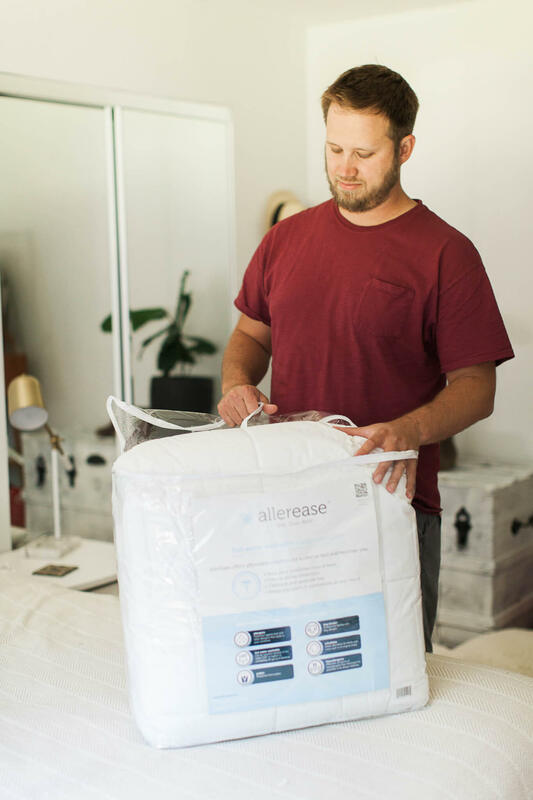 AllerEase, can help improve sleep hygiene by blocking out allergens and limiting allergen exposure from dust mites, pollen, bedbugs, pet dander, and other household irritants. The mattress cover was SUPER easy to put on…it was like putting a big pillowcase with a zipper on over your mattress. The pillows, pillow covers, and comforter were also very comfortable! Dusty kept repeating how much he loved the comforter, it reminded him of a luxurious hotel comforter. 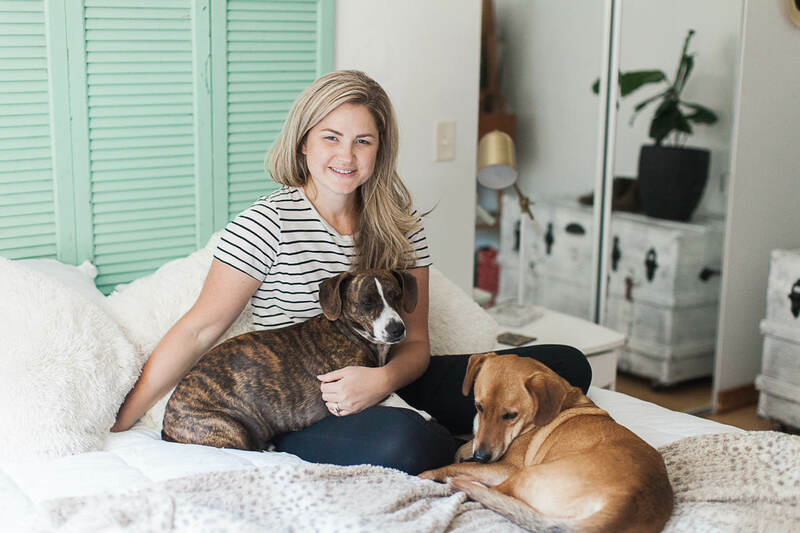 Now, most people say that having a white comforter with dogs is a sinful decision…and while I may have been on board with that declaration in the past…I must say, I am a changed woman. Having a white comforter and dogs is the ONLY way to go. And here’s why. First of all. Wouldn’t you want to see and know what dirt has been brought into your bed? Personally…I wouldn’t want dog dander and debris hiding in my bedding. Having white bedding allows you the ability to see the dirt and grime and then clean it up when necessary. Not only do pets bring in debris…but so do the humans that sleep in the beds! It’s summertime…so sandy sheets and dirty feet tend to be a huge likelihood, especially if you’re not showering before you go to sleep at night. 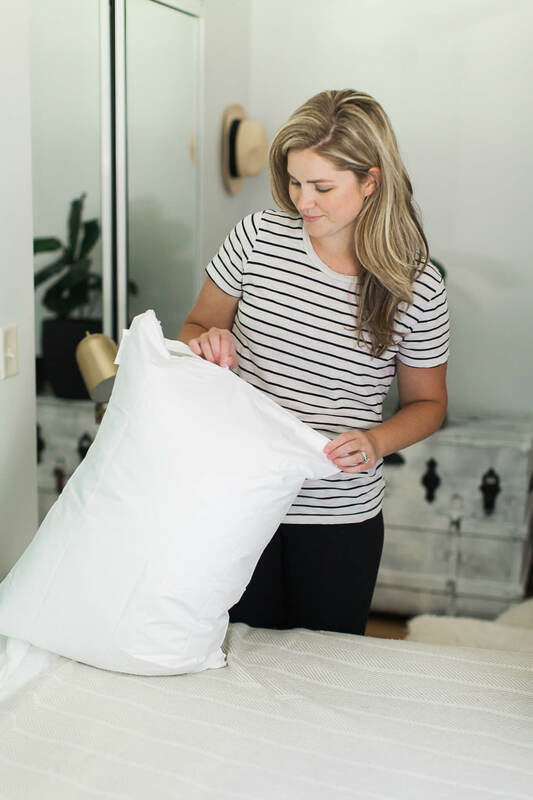 All-in-all, we highly recommend making the switch and investing in bedding that is free of allergens. It is a smart and easy way to help create better sleep hygiene and a more restful night sleep. Join us in trying AllerEase and using the discount below to purchase your new allergy protection bedding! Stick to a consistent sleep schedule by going to bed and waking up at the same time each day. Try to limit nighttime stimulants like electronics an hour before bed. 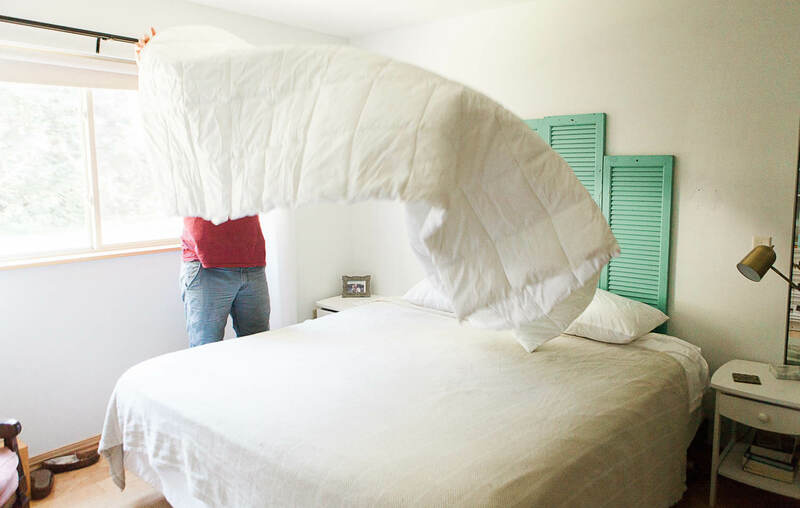 Keep your bed linens clean by washing them in hot water weekly. 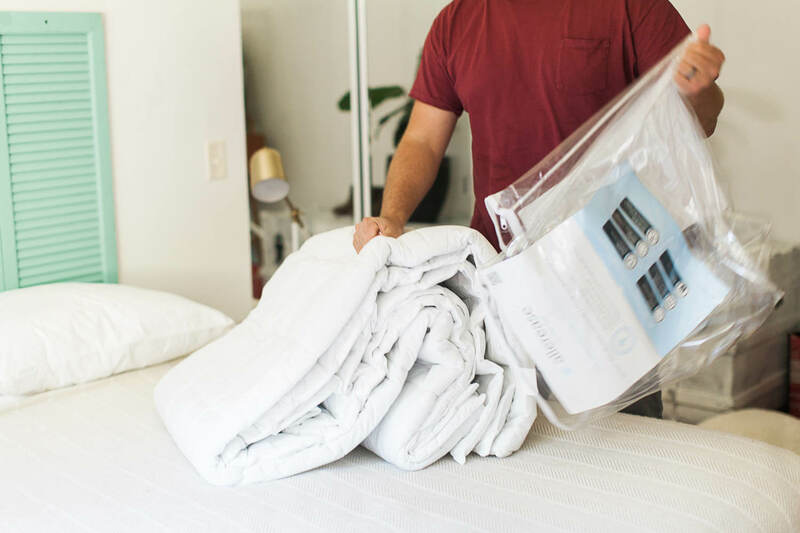 Use a zippered allergen-barrier mattress protector like AllerEase Maximum to prevent dust mites, pollen, and pet dander from collecting in your mattress. Shower at night versus morning to rinse hair and skin of pollutants before getting into bed. Invest in air purifiers or plants like ivy or palm that can help rid your indoor air of impurities. 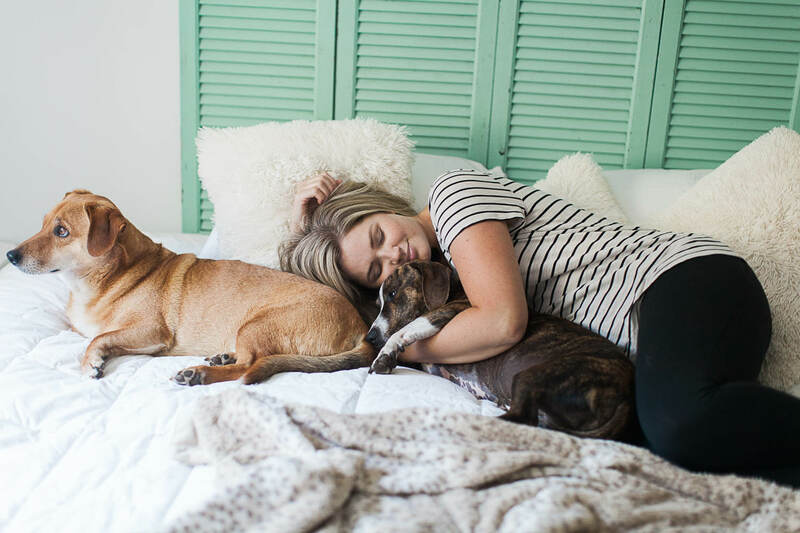 Limit pet time in the bedroom, and if that’s non-negotiable, using allergen barrier bedding can limit allergens from entering the mattress.